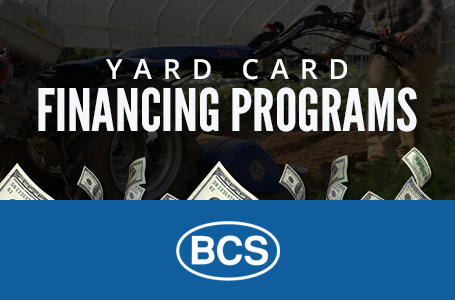 The BCS Dual Action Sickle Bar Mowers step it up a notch from its single-blade predecessor. This unique and fast sickle bar attachment mows using two moving blades, each moving in equal and opposite directions. The dual-action reduces vibration for the operator and increases efficiency in mowing applications. BCS offers two versions of the Dual Action Sickle Bar: Dual Action WITH Fingers and WITHOUT Fingers. 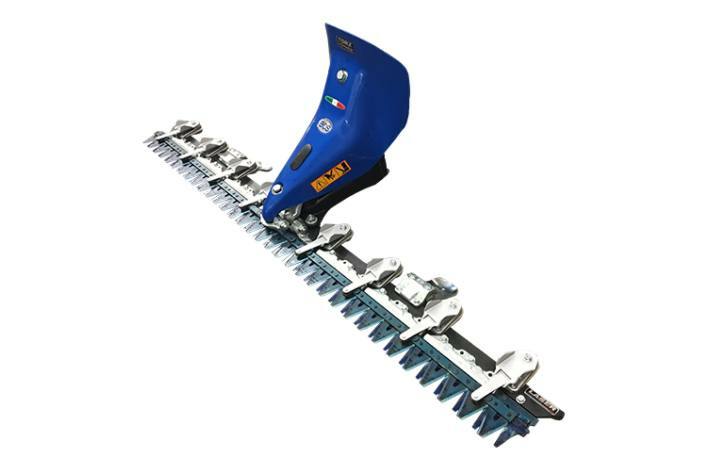 Both feature riveted guards on the lower teeth to allow for no clogging of mowed materials, and have spring-loaded blade tensioners for decreased vacillation. The version with fingers is formerly known as "duplex", and has been available for many years. 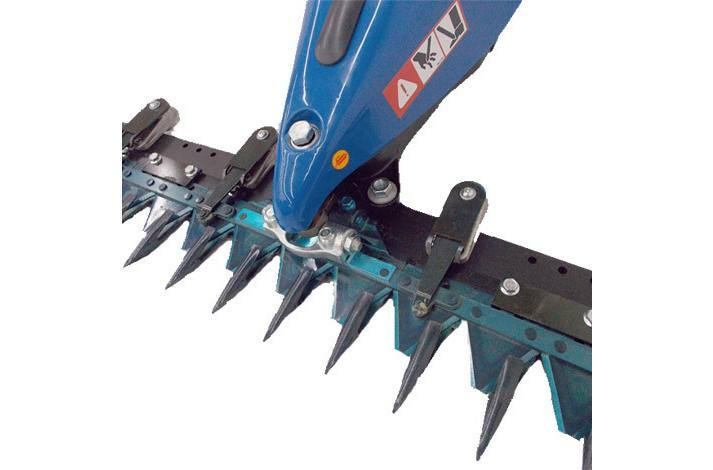 Compared to the standard sickle bar, it reduces vibration and enables mowing in faster speeds. The version without fingers is better suited to use in woody material such as saplings, because the version with fingers can be prone to breakage. This version also includes heavier-duty self-adjusting tensioners. 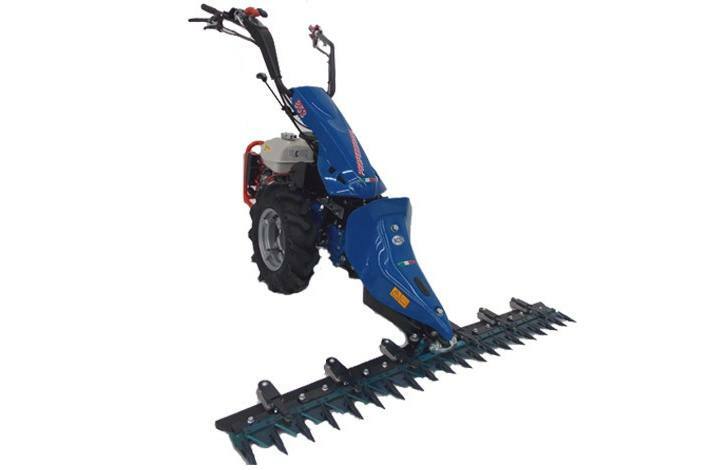 Both versions of the Dual Action Sickle Bar are much wider than the wheelbase, so you can easily trim along slopes, ponds, under fences, and other low-clearance places you wouldn’t dare take a traditional mower. It can also be used for forage harvesting, most notably hay. 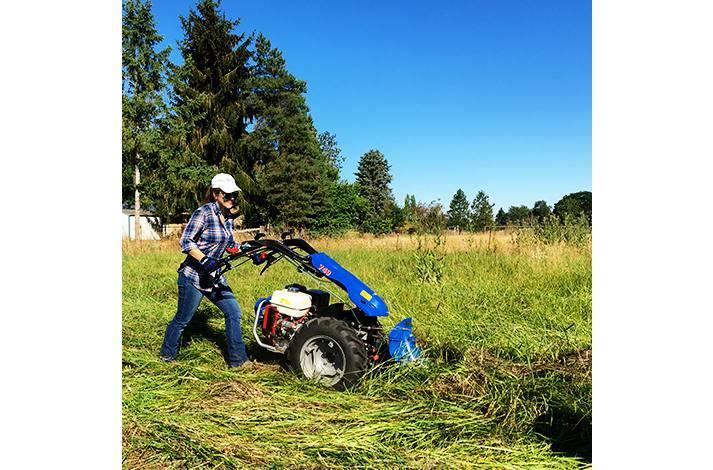 Self-adjusting tensioners are a key feature of all Dual Action Sickle Bar Mowers. Instead of static clamps as on the single-action version, moving arms with spring-loaded down pressure maintain optimal contact between the knives and the ledger plates. This reduces required maintenance because the owner won't have to manually adjust the clamps as they wear over time, being careful not to over-tighten them. PLEASE NOTE: All prices for the Dual Action Sickle Bar Mowers include the required oil bath transmission. The 82'' version is suited for model 660 Hydrostatic ONLY. 51'', 67'' or 82'' available bar widths for Dual Action Sickle Bar. 82'' version for model 660 Hydrostatic only. Cut saplings up to 1.5'' thick. Swivel joint in shaft allows bar to follow ground contours.